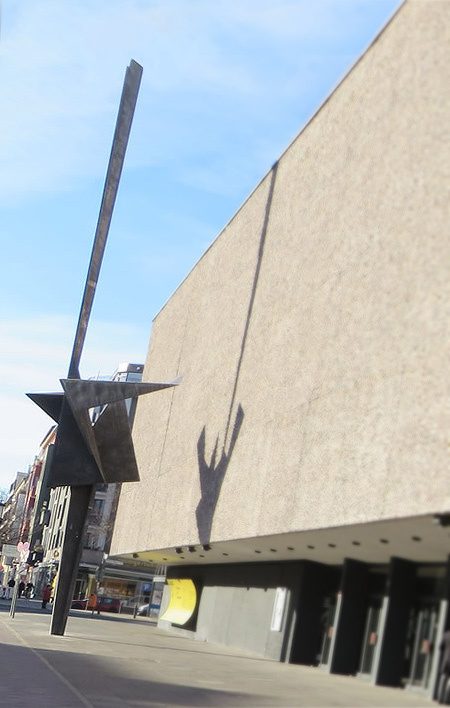 In many ways, it's one of Berlin's most evocative artworks - and yet this enigmatic sculpture by Hans Uhlmann (1900-1975) is almost entirely hidden from view on the roof of the Berlin Philharmonie. Named 'Phoenix' after the mythical bird that is reborn from the ashes of its predecessor, the symbolism, of course, is utterly apt. 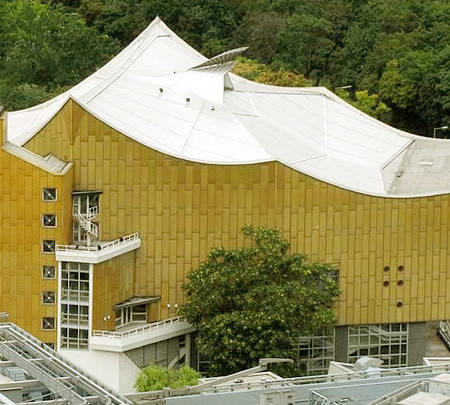 Not just with regard to the Philharmonie itself, which was rebuilt in the 1960s to replace the former concert hall destroyed by allied bombing, but also for the surrounding, heavily reconstructed city. 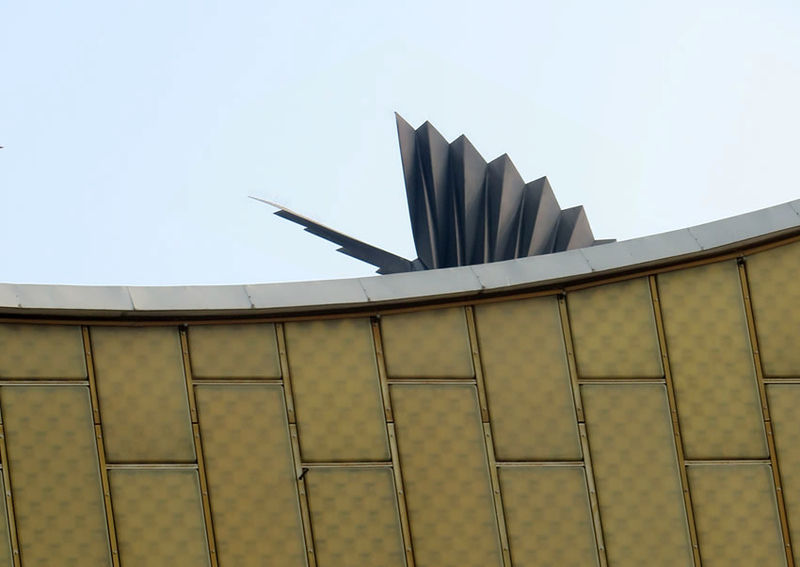 The steel sculpture's fan-like, gently curving wings closely echo the Philharmonie's own peaks and undulations. It's a peculiarity of the piece, too, that it can only be seen in its entirety from above, despite the fact that such a view is rarely obtainable. Yet even from the ground there are few real vantage points. 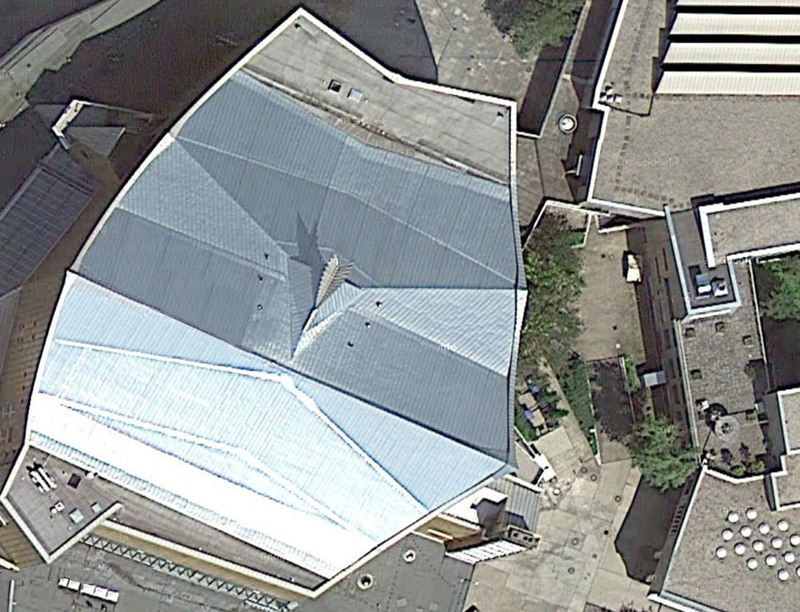 From Tiergartenstrasse, and the small green space that adjoins the northernmost facade of the Philharmonie, the phoenix appears to rise from the roof, although its uplifted wings are easily mistaken for a decorative finial. It's also possible to spot the elusive bird from higher ground such as the terrace of the Neue Nationalgalerie. 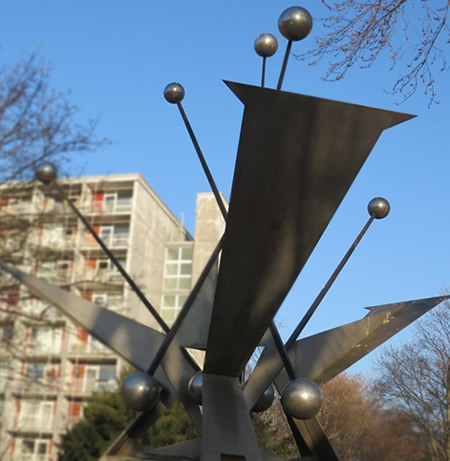 Another two works by Hans Uhlmann - a Berlin-born artist who studied engineering before becoming a sculptor - are prominently displayed in the city. 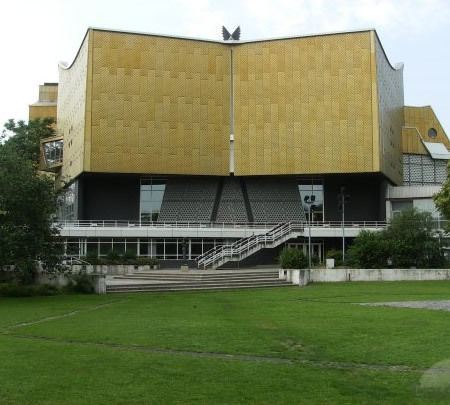 One stands in the Hansaviertel (below right), and the other in front of another music venue: the Deutsche Oper on Bismarckstrasse (below left). Both are much-photographed, popular with Berliners and visitors alike. The beautiful Phoenix, by contrast, remains enigmatic, with few even aware of its presence.